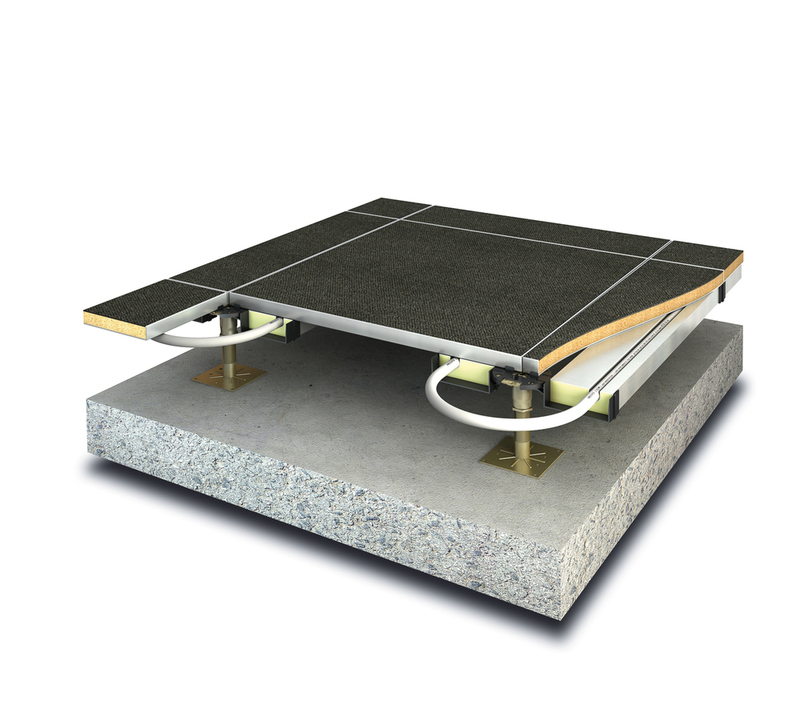 We have developed some specialist systems to cater for specific requirements such as structural floor areas and raised access floor systems. us to install our Underfloor Heating systems in as little as 40mm. Installation is quick and safe, cliprails are secured to the deck before fitting 12mm Ambiflow 5 layer pipe following UFH designs provided. The use of this system can be beneficial when a ground or an air source heat pump is supplying the heat. raised access floor construction. A U-shaped bracket is mounted on to the pedestals on to which insulation profiles are installed. The 35mm x 100mm insulation panels are made of high density insulation and foiled to optimise the energy transfer. Modules can be easily dismounted and repositioned when office layout changes. outputs of up to 200w/m² are available. underfloor heating Scotland makes it a useful means of incorporating heating into otherwise challenging situations. Heat wet room floors, walls and mirrors with this flexible system, a full range of complementary insulation products are stocked to maximise efficiencies and minimise warm up times.